What's happened to the entertainment group? 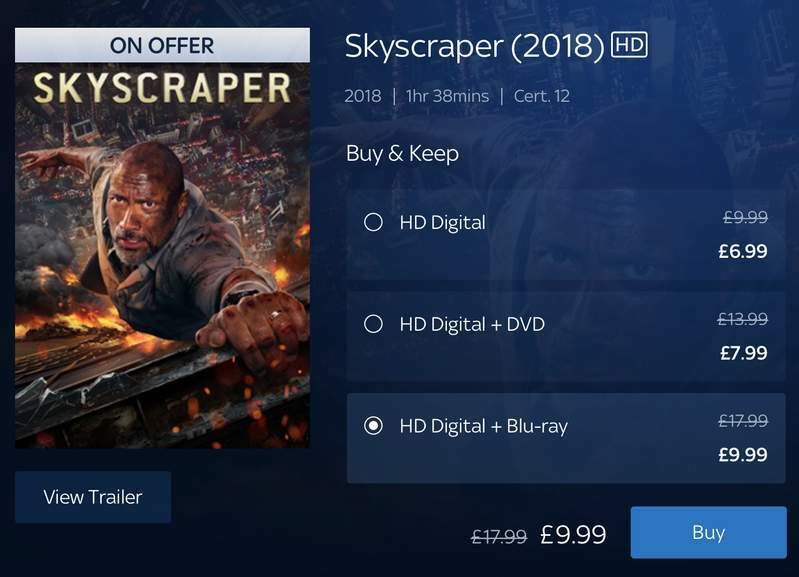 Cheapest I can find on Blu-ray. Disaster thriller starring Dwayne Johnson as a security consultant and former FBI agent forced to save the day when the world's "safest" building comes under attack. That goes for any movie, or available on Netflix or Amazon prime. So whats your point? Some people like having a physical copy. What a rubbish film. Summed up by the superhero rock being able to jump 50 metres from a crane onto the building. Save your money. What a rubbish film. Summed up by the superhero rock being able to jump 50 …What a rubbish film. Summed up by the superhero rock being able to jump 50 metres from a crane onto the building. Save your money. I enjoyed, switch your brain off, and just watch a movie. I don't need to analyse it, when I watch a movie. Did you watch any of the last few fast and furious movies. Did you like them? Jumping a car from building to building? or Launching a Submarine which is on stands, just by turn the propellers on? I enjoyed, switch your brain off, and just watch a movie. I don't need to …I enjoyed, switch your brain off, and just watch a movie. I don't need to analyse it, when I watch a movie.Did you watch any of the last few fast and furious movies. Did you like them?Jumping a car from building to building? or Launching a Submarine which is on stands, just by turn the propellers on? That goes for any movie, or available on Netflix or Amazon prime. So whats …That goes for any movie, or available on Netflix or Amazon prime. So whats your point?Some people like having a physical copy. It didn't come up on my search. Vote cold as its cheaper elsewhere, I'll vote cold on it myself. 70% of movies is mindless rubbish. You're missing out on classics like Dude! Where's My Car? And others. This is £7.49 on blu ray in HMV as I bought it on Friday. Also the film is an enjoyable B movie. 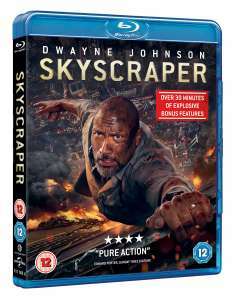 Saw it at the cinema and the scenes when the Rock is on the crane had my palms sweating as I hate heights. Exactly. I turn my brain off whenever I go into the cinema and enjoyed it. I go to enjoy myself and that is what I did with all these films. Fella you are coming across as a complete snob. "I only watch films over a certain score!" Not every film has to be Oscar worthy or over a certain rating to be enjoyable. And IMDB isn't the gospel when it comes to films. You quite clearly got out the wrong side of the bed today or you ain't getting none. Chill out it is just a film. Fella you are coming across as a complete snob. "I only watch films over a …Fella you are coming across as a complete snob. "I only watch films over a certain score! "Not every film has to be Oscar worthy or over a certain rating to be enjoyable.And IMDB isn't the gospel when it comes to films.You quite clearly got out the wrong side of the bed today or you ain't getting none.Chill out it is just a film. I wanted to say pretty much this but bit my tongue. Glad someone else did. I like serious stories not.. Movies like Adam Sandlers Jack and Jill.. It isn't my nature to bite my tongue. I say it as it is. Thanks for the comment. Not all films are classed as art. There is a spectrum with films like Transformers, Skyscraper, Fast and Furious, etc at one end and films like Bridge of Spies, Gone with the wind, The Kings Speech, etc at the other. People like different things. I prefer my films towards the Transformers end of the spectrum as they take me out of daily life into something fantasy like, but also watch films at the other end when I fancy it. If you like your films at the other end of the spectrum then that's fine but don't belittle others because you don't like them. You just come across as snobby, arrogant and unlikable. And that is the end of the discussion for me. Not all films are classed as art.There is a spectrum with films like … Not all films are classed as art.There is a spectrum with films like Transformers, Skyscraper, Fast and Furious, etc at one end and films like Bridge of Spies, Gone with the wind, The Kings Speech, etc at the other.People like different things. I prefer my films towards the Transformers end of the spectrum as they take me out of daily life into something fantasy like, but also watch films at the other end when I fancy it.If you like your films at the other end of the spectrum then that's fine but don't belittle others because you don't like them.You just come across as snobby, arrogant and unlikable.And that is the end of the discussion for me. There is fantasy and there is transformers..